If you ask “400% more weight than what?”there seems to be no answer and the whole promotion of this slimming tablet can be thought of as a form of exaggerated marketing tactics. We read on the product’s official website that the manufacturers of Apidexin appointed a research and development team to create this product. Today Apidexin is considered to be one of the most potent non-prescription fat burners, but customers are not provided with details of the clinical tests and the scientific results of the experimental use of the product. 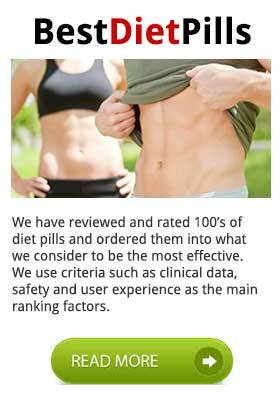 The official website of the diet pill provides a lot of details on each of the pill’s ingredients, but dieters need to know more about how all these work in synergy and what kind of results to expect. Apidexin is a proprietary blend of the following ingredients. There are no reports of serious side effects, but as a powerful fat burner that contains strong caffeine-like stimulants, Apidexin may cause headaches, restlessness or feelings of anxiety. These are common side effects for most fat burners and Apidexin cannot be an exception. On Apidexin official website there are several positive reviews and testimonials from happy customers who explain how they managed to lose weight successfully with this fat burner. We think that almost all reviews and success stories on a product’s official website are either biased or exaggerated. If dieters want to find the real facts about a product they should visit independent sites or chat rooms where all kinds of testimonials are posted. Another point on their official website is the fact that they claim that the return rate of the product is only 2%. We think that if this is true, it happens because dieters who are not satisfied do not have easy access to the company, as they provide customers with limited contact details. 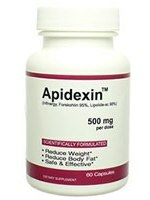 Apidexin is advertised as a potent fat burner with a proprietary blend of either patented or patent-pending ingredients. 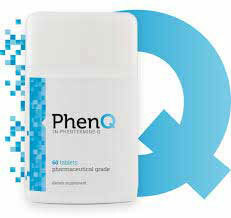 According to its manufacturers, it is clinically proven and it can produce visible results in a short time. Its makers also claim that Apidexin can be more powerful than even some prescription diet pills, and there are several positive testimonials posted on their site. We have no reason to believe that Apidexin is not a powerful fat burner, but there are no real facts available to support the manufacturers’ claims. 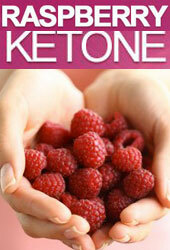 So, we think that dieters should be cautious as there might be some side effects that are not yet known. Apidexin is not available in pharmacies or high street stores in the UK so customers will have to order it either from its official website or from several other Internet stockists. While this seems absolutely all right with some UK dieters, there are others who feel that they cannot fully trust the product if they cannot have direct contact with the company that manufactures it. They think that if, for any reason, they need to return the product, or if they have some kind of problem or question, there would be no one they could contact. We think that Apidexin manufacturers should do something to improve their customer support service.